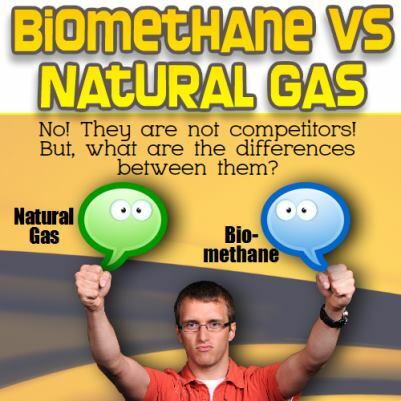 I was recently asked to comment on the use of “biomethane” vs “natural gas”, almost as if the two were in competition with each other. This, at one and the same time, both surprised me and impressed me. 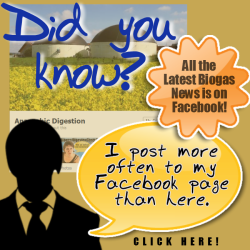 Biomethane is the term usually used to refer to the raw biogas produced by the anaerobic digestion process, whereas “natural gas” has always referred to the geologically extracted methane from below ground which is compressed and pumped to the end-user in urban gas supply systems worldwide. However, many anaerobic digestion plant operators are discovering that by cleaning up, drying, and compressing biogas biomethane they can produce a higher value “green” product which (subject to quality control checks and maybe also the addition of a percentage of a higher calorific-value gas), can also become “natural gas” and be injected into gas supply pipelines (the gas grid). Only less that 5 years ago (2013), the idea of upgrading biogas from anaerobic digestion plants and to some extent other renewable gas sources such as landfill gas was seen as a “nice idea”, it had not been done on a significantly large scale and there were no companies offering the necessary gas clean-up equipment optimized for this purpose. In addition, the relatively small volume of biogas available for upgrading to biomethane, in comparison with the vast usage of natural gas means that now and for the foreseeable future, the quantity of biomethane will always be small and hardly a competitor with natural gas. Having said that though, biomethane could before very long contribute of the order of 10% of natural gas demand in some energy sectors in many countries, so the industry sector will be likely to grow into a significant contributor to natural gas supplies. But, biomethane will never be a major competitor with natural gas in household and industrial supplies, and won’t push back natural gas demand as an industry-wide competitor in my view, at least not in the next 30 years. Where it could compete with LNG (Liquified Natural Gas) though is in the transport sector, judging from the articles which follow. The challenge of decarbonising sectors still reliant on diesel such as heavy goods transport and buses, for which electricity is not yet practical, was reiterated by speakers representing the full breadth of the supply chain. Whatever their perspective though, there was one clear message – that switching to gas and biomethane is the only way for these sectors to achieve the meaningful reductions in greenhouse gas emissions and improvements in air quality needed. This remarkably overt and strong demand for biomethane within the haulage and freight sector has potentially significant wider implications for government policy and the AD industry: cross departmental coordination particularly in terms of waste and bioenergy policy, such as separate food waste collections, as well as appropriate financial incentives, will be vital if the AD industry is to be able to deliver the biomethane the transport sector is calling for. 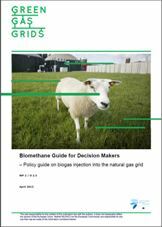 The GreenGasGrids project (GGG), which was funded by the Intelligent Energy for Europe (IEE) program and established to support the upgrading of biogas to biomethane for injection into the natural gas grid, has published a document called ‘Biomethane Guide for decision-makers – a policy guide on biogas injection into the natural gas grid’. Natural gas vehicle (NGV) engines burn methane as fuel, and biomethane is a renewable gas that has a major reduction impact on emissions. NGVA Europe explains the publication is intended as a source of quick reference for decision makers and authorities from municipal to national level…. ….NGVA Europe says that the full potential of biomethane has yet to be realised, but it is becoming more important on the political agenda and as a business opportunity in various EU Member States due to its numerous advantages. NGVA Europe believes that biomethane could become one of the main pillars to reach the mandatory 2020 target of 10% renewable in transport due to its huge production potential, the non-existent blending limitation with fossil NG and its associated GHG emission benefits. Pressure Technologies plc is pleased to announce that its Alternative Energy division, comprising Chesterfield BioGas Ltd., has secured two orders to supply biogas upgraders and ancillary equipment with a combined sales value of £4.6 million ($7.17 million). Both projects use the Totara model biogas upgrader, capable of processing up to 2,000 cubic meters of biogas per hour. The Totara upgrader will clean the raw biogas, produced by anaerobic digestion of the waste, to more than 98 pecent pure biomethane, matching the purity criteria required of natural gas being piped to households and commercial premises. Biomethane vs natural gas isn’t a contest for sure, but the rising popularity of upgrading biomethane so that it is accepted by the natural gas supply authorities worldwide, for use in their piped energy supply systems, will make understanding the what the two are, and the comparison between the two, ever more important over the coming years. Will definitely be returning, ’tis a great site!